Great ideas and concepts can stem from anywhere. Executing the vision ones see in their mind can easily be shared with a group of people who further bring into their own artistic creativity to further bring the vision to life. 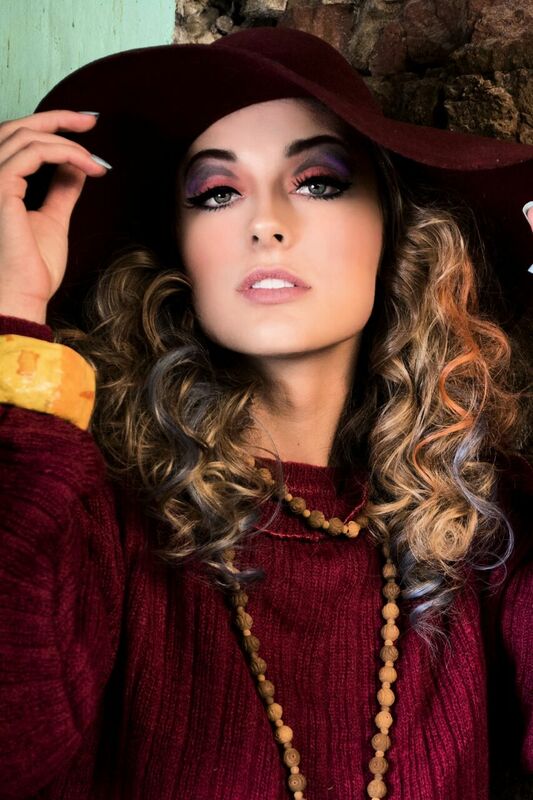 One of the models, Katya Estes I had booked for a hair collection at Absolute Studio INC. We have worked together several times and she is an amazing muse to channel any look. I asked her to send me the images of which I loved and sent to our team, Genna Yussman Greene and Tony Welscher. 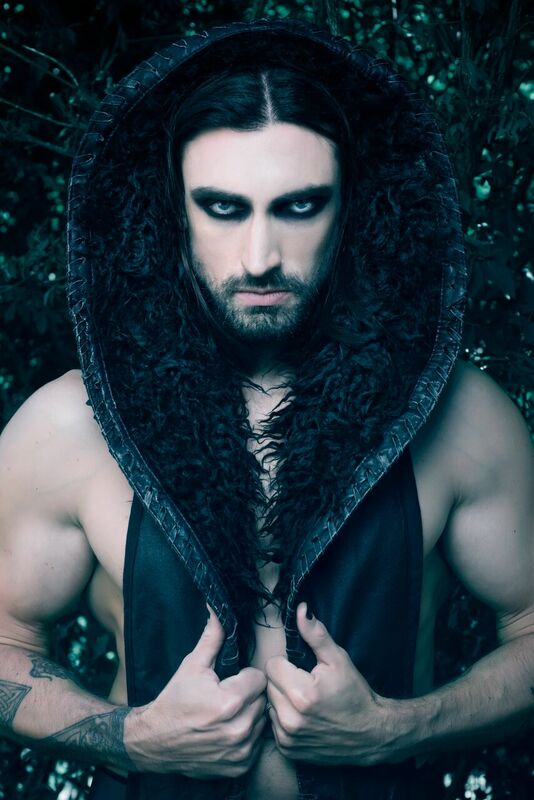 I contacted make up artist, Bethany Hood to do make up. This would be one of our last collection together since she was relocating to L.A. to work on film and sets out there. She gladly agreed to come to the studio and to work on Katya’s beautiful face. What really brought this collection to life was the wardrobe. Genna literally went to Goodwill and purchased used sleeping bags, bed sheets, part of a childs car seat, belts and unconventional items. She literally pieced and draped the fabrics on Katya into three solid looks. This is really what made this collection pop with a Goodwill “Couture” vibe. 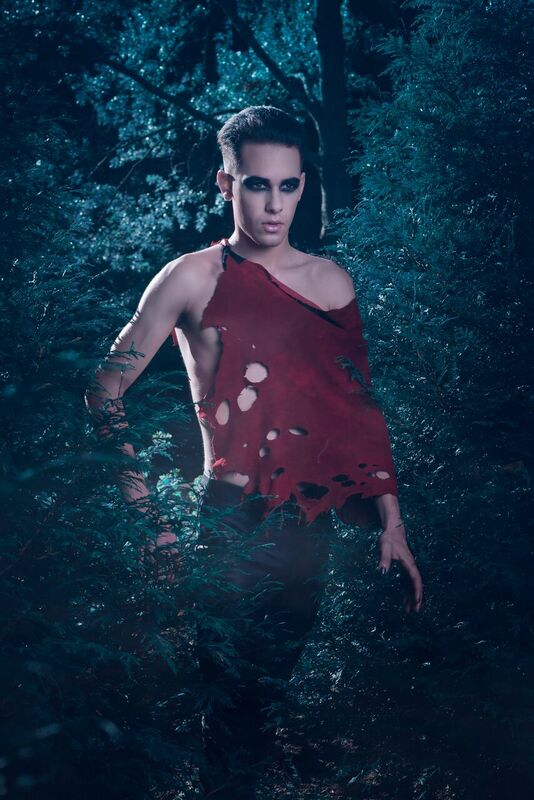 For the hairstyling I created to contrasting looks that swayed to the avant grade; asymmetrical, irregular and gaudy. I basically stacked 2/3 wigs for each look on Katya’s head. I first secured her hair to her scalp with braids to created a foundation to support the wigs. 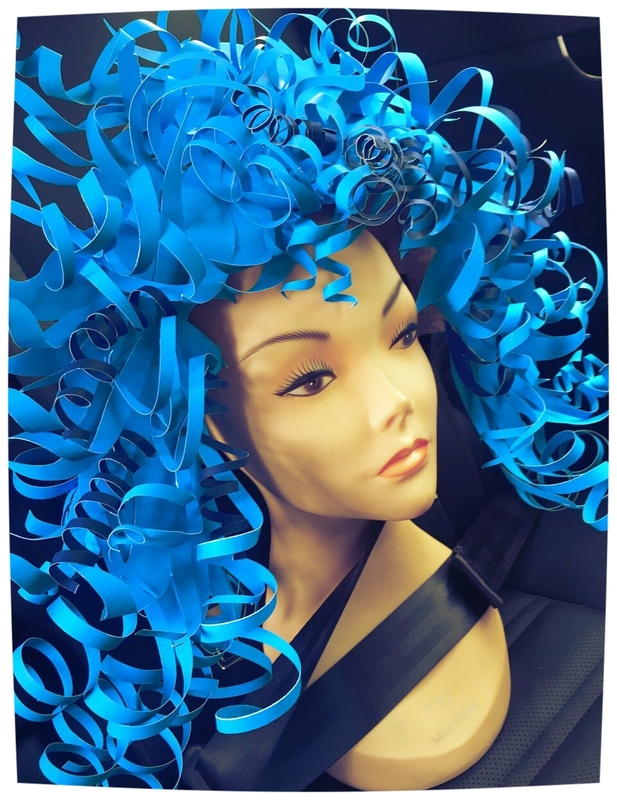 I used several round hair pads to create the shape along with Kanekalon braiding hair of which I covered even more of the hair pads and pinned them into the overall shape. Once completed I took black elastic cord and tied it with no rhyme around the entire form. 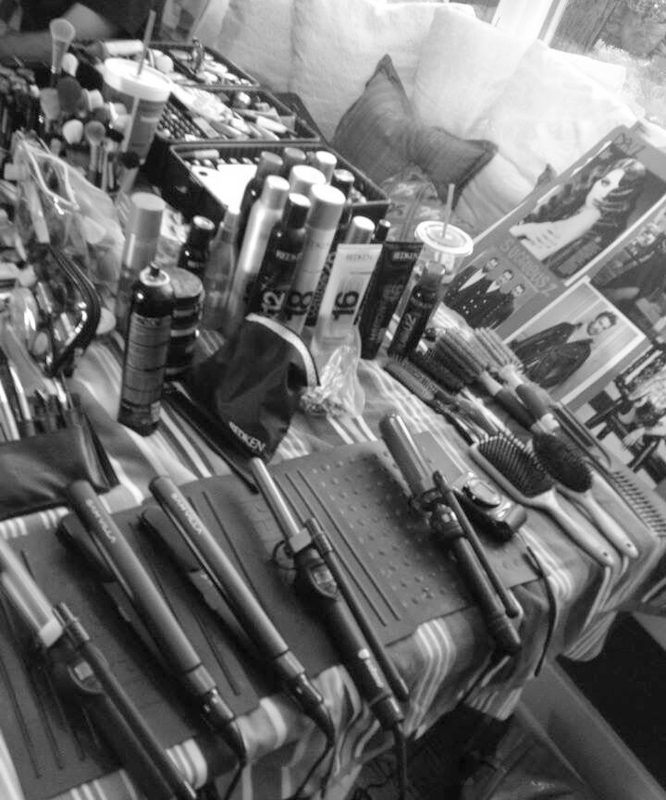 Redken’s Control Addict 28 hairspray was a must on set!! for Make up, Bethany created a very clean, dewy canvas on Katya. Soft defined brows, Shimmer/highlighter brushed crossed both cheeks and eyelids. Soft warm eyeshadow with a tint of orange and a blood orange lip to complete the look. After shooting, Images were edited by Genna and prepared for publication. You never know how long it maybe for the publication gets excepted for print from any publication but we didn’t have to wait long. Elegant Magazine eagerly accepted the collection and it was published in a 7 page fashion spread in the Nov/Dec 2018 issue. 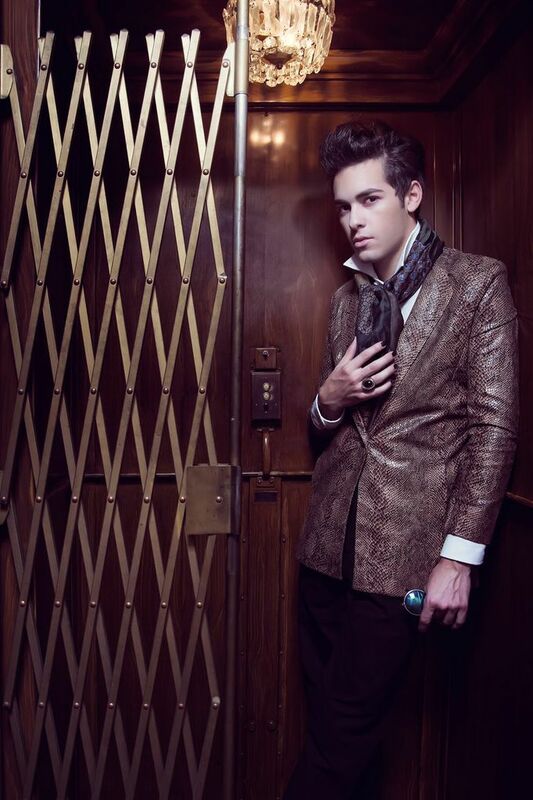 We were ecstatic about the release and grateful to Elegant Magazine. 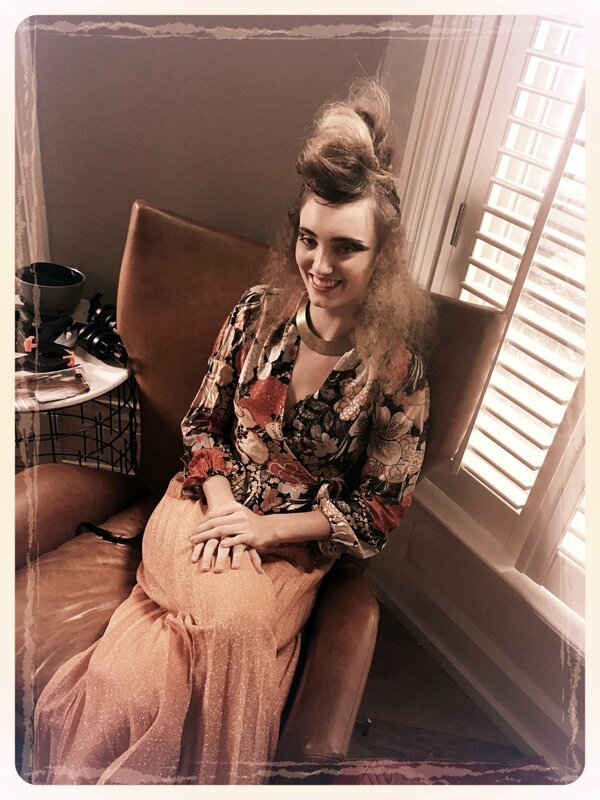 We spent about 8 hours prepping Katya for three looks on set. 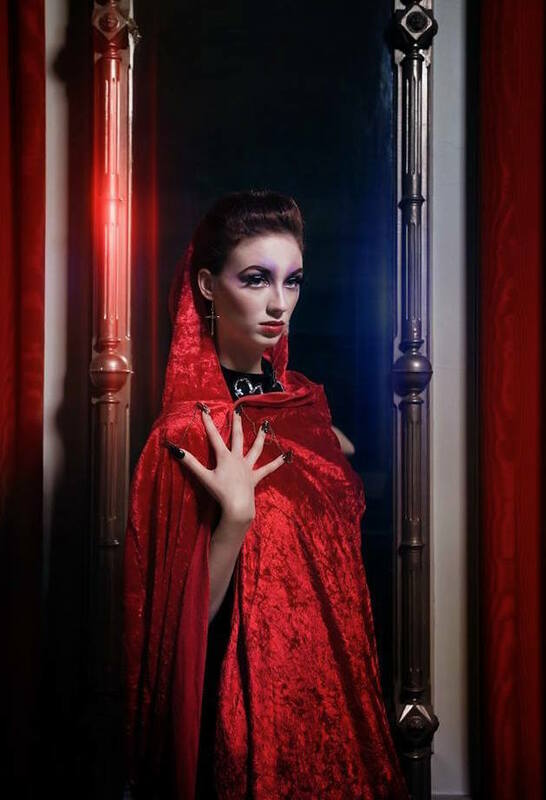 Tony photographed Katya on a light grey backdrop with overhead lighting to create “Shadows”. Life always throws obstacle in your way…The past year our team worked very hard to produce new materials for 2019. It was so good to finally be able to reveal and release some of the work we worked so hard to create and grateful to all the people involved. It’s important in life to take down time, reinvent, rebalance, reflect and celebrate all wins. In memory of Tony Welscher. He would have been very proud of the work we put out and we will miss him. I was so excited to continue my editorial collaboration with fashion photographer, Jenni Harper Young (Harper Young Photography). This particular collection was inspired by holograms and pastel hair and fashion. Jenni had mentioned wanted to do a photoshoot with models that had blue and pink hair. the entire team behind "Lustre"
She had contacted me later and we started planning this collection. I recommend Genna Yussman Greene for Wardrobe and she wanted make up artist Becca Schell on board. Both of them played integral roles in this fashion collection. Genna had pieced together a wardrobe based on our concept along with accessories. A custom winglet she sewed together using holographic wrapping paper. For make up Becca used bright pastels creating a beautiful, "doll" like make up. Eyeshadow was placed over entire lid and brow in strong pinks and blues on both models. Baby blue and pastel green lip color with strong baby pink blush with heavy highlighter. hairstyles varied in length on each model ranging from lock flowing braided looks to short croppy cuts and fringed bobs. 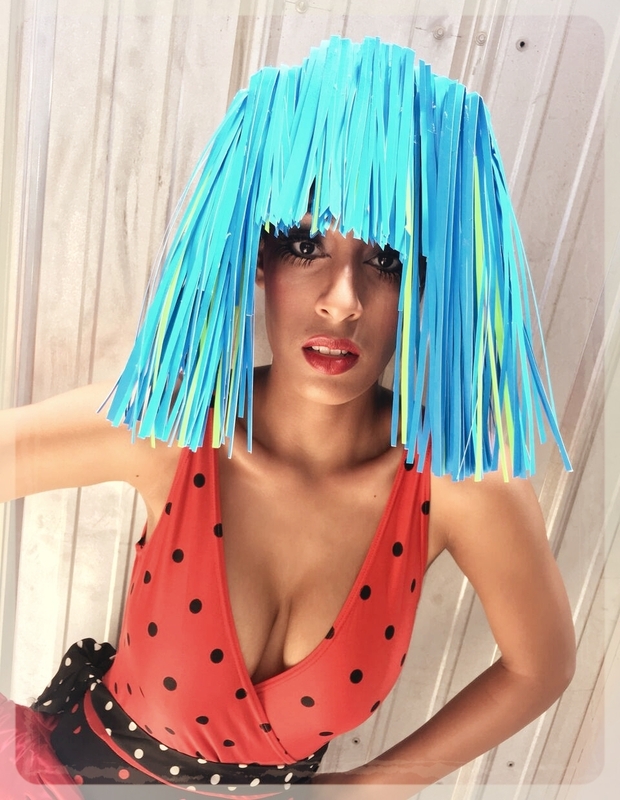 For hair, I created various looks using several wigs. The look below was created using long hair pins that hair was woven through in a figure 8 pattern and heated using a hand held steamer. The hair setting took a couple hours to prep prior to the photoshoot. 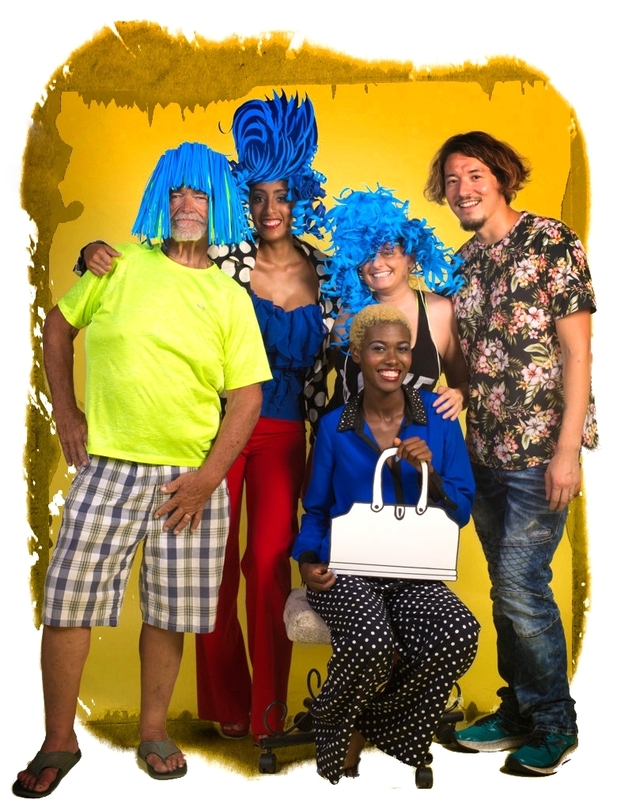 Utilizing wigs is efficient for on set photoshoots to drastically change a models look. 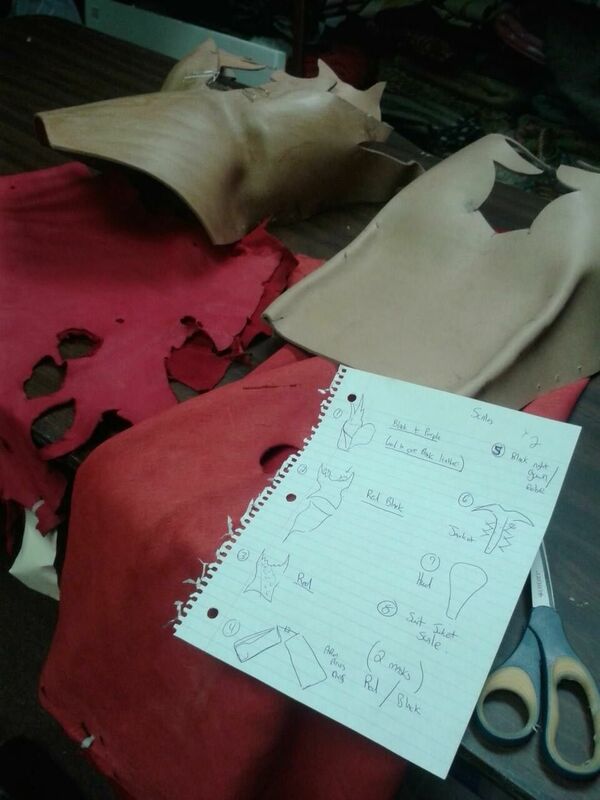 The prep work is done prior to save time as some of the looks are very technical and time consuming to create. The hairstyle below is an example of one of the looks prepped prior to the shoot using various braid techniques. The look below hair netting/hair veil was created using sewing thread and lots of patients. 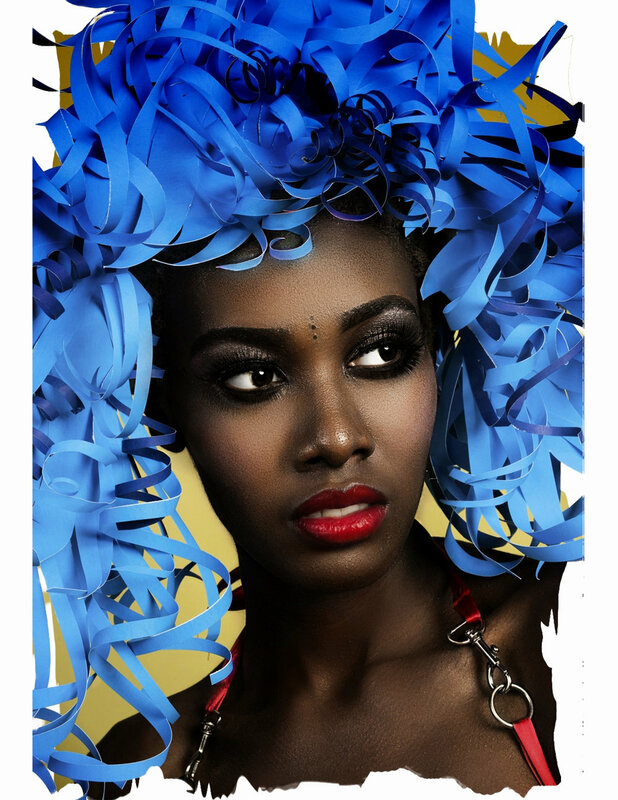 A front lace wig was used to create this look using the front hair line to execute the hair veil. We all worked together to create a total of six looks on two model in eight hours. Genna pieced together a beautiful collection with metallic, textures in various materials in both pink, blue and holographic finishes in booth shine and matte nuances. Jenni photographed the entire collection that was beautiful published by Elegant Magazine in a nine page spread. We are grateful to them for the feature and to everyone involved in this project. I was really excited to shoot a summer collection with my friend Genna Yussman Greene. We had recently rented a studio at Mellwoods Art Center and she wanted to start shooting editorial and beauty in addition to design and styling. I remember discussing doing a summer inspired shoot and we need models so I post on social media a model call. I had gotten several responses and decided to book four of the models that responded. I knew for this collection I wanted to focus on texture with a commercial feel and utizling hair pieces to create some soft summery dimension. I made several clip hair extensions that I colored with Redken's City Beats fashion hair color. 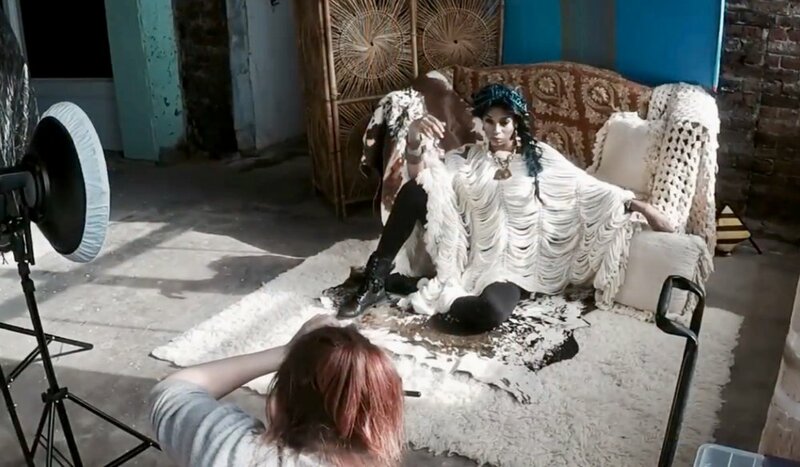 We wanted a "Boho" feel so Genna styled multiple outfits using hassle, faux fur, heavy textiles and layers to create a fashionable, summer collection. For hair I set each models hair in varying degrees of curls sets (from tight curls to loose waves) incorporating soft summer pastel hues. Hair was teased and set into two to three looks per model. For some styles braids were added along with yarn for others. 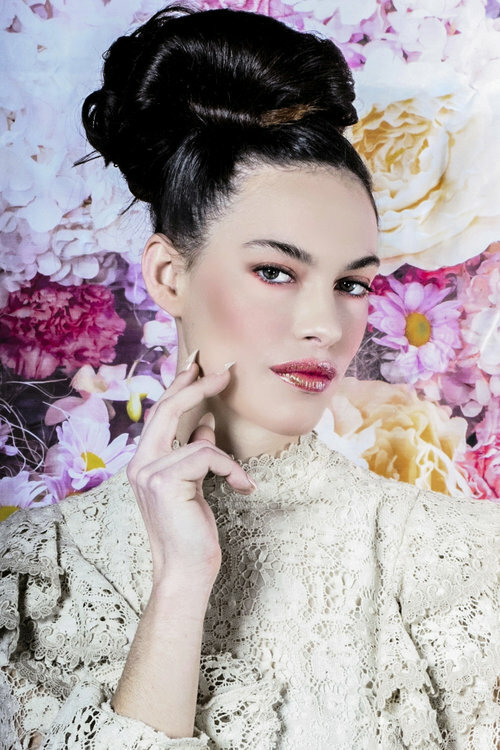 I enlisted make up artist, Caleb Yeske to create the make up on our gorgeous models. He did a wonderful job of layering the make up from look to look. Soft natural looks to bright bold eyeshadeows and perfectly lined eyes. The shoot lasted about 10 hours rotating models between sets and wardrobe and allowing ample time for hair and make up. The day was bright and cheery given the rather cold day outside. 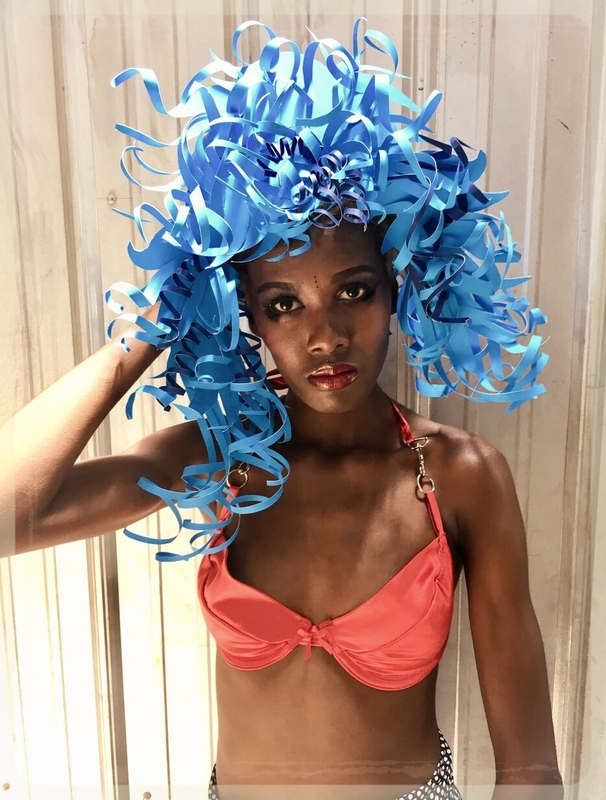 Our collection definitely harkens to summer and we were happy to have the collection featured in the June, Summer issue of Beauty Launchpad Magazine. Hazy, breezy and oh so boho...this collection boasts textured hairstyles with colored accents, volume and commercial make up along with a modern Summer wardrobe. We titled this collection, "California Dreaming" for the L.A. vibe with the hair and wardrobe. A big thank you to Beauty Launchpad for publishing our collection. Premiere Orlando held annually at the Orange County Convention Center in steamy but fashionable Orlando, Florida. This three day educational event hosts beauty professionals from all over the world with educators, seminars, anything your beauty heart\dollars can desire and your favorite Instagram stars. The event itself is a fashion show: beautiful people inspirational hair and make up and complete sensory overload. I love seeing so many of my friends especially friends/artists from my hometown of Louisville, KY.
Redken always being at the forefront of education brought entertainment, education, hands on experiences and new product launches. Exciting new products included the revamped Color Gels Lacquer and new Shades EQ glosses NA (Natural Ash) series. 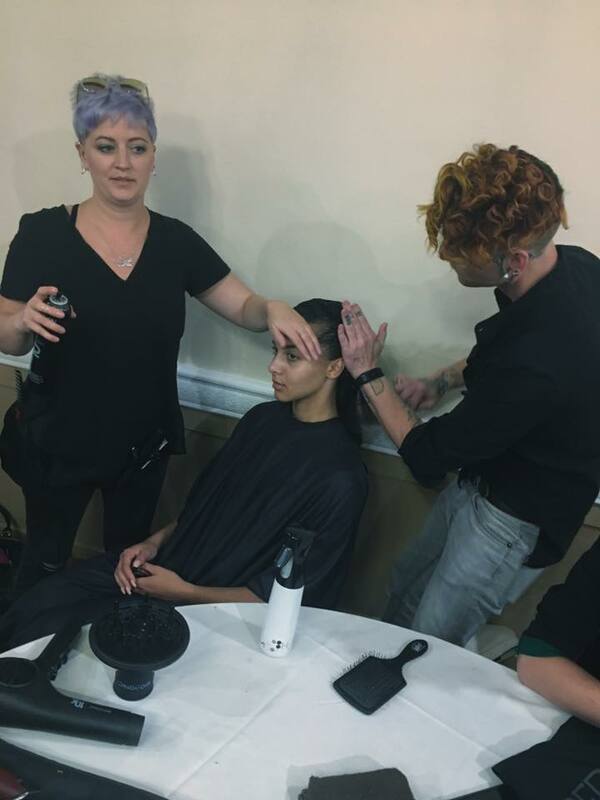 Programs were held every hour for hands on experiences at the Redken booth with live demos and products lectures running parallel facilitated by several Redken Artists. It has been years since I've been to Premiere so I was very excited when I was asked earlier this year to be part of the Beyond Brunette team backstage Redken. Again the team continud with Lindsey Olson and Tara Gardiner along with fellow Redken artist, Hugo Urias and Leah Hanson for "Beyond Brunette" and model presentation at the JCP In Style stage. This has been amazing experience on 2018 Redken show tour with this crew. 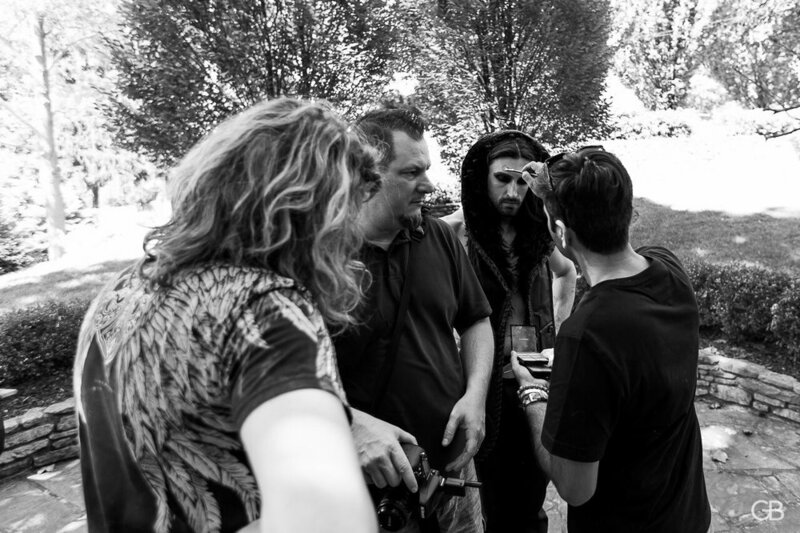 I arrived in humid Orlando Saturday prior to hair prep for a pre show meeting with the team. It was at the meeting head by Suzanne Sturm that I found out I would also be doing the wigs for the models for the color stage. 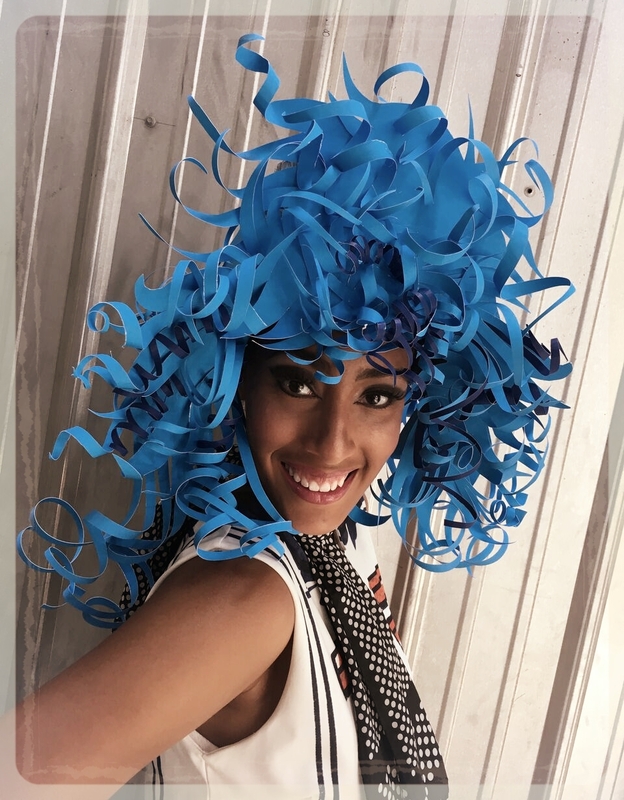 In addition I would also being doing two rotations of demos/education on the subway at the Redken booth, Saturday Bangstyle IG takeover and lastly, a FB live on the Redken's upcoming texture line for Premiere Orlando's FB page. I was beyond stoked. The following day arrived to an exiting whirlwind. I did my first rotation in the subway. Followed by my FB live of Premiere Orlando. I create two looks: infinity braid ponytail and a disheveled asymetrical undo using the upcoming "Dry" texture line. It was so much fun and so inspirational. 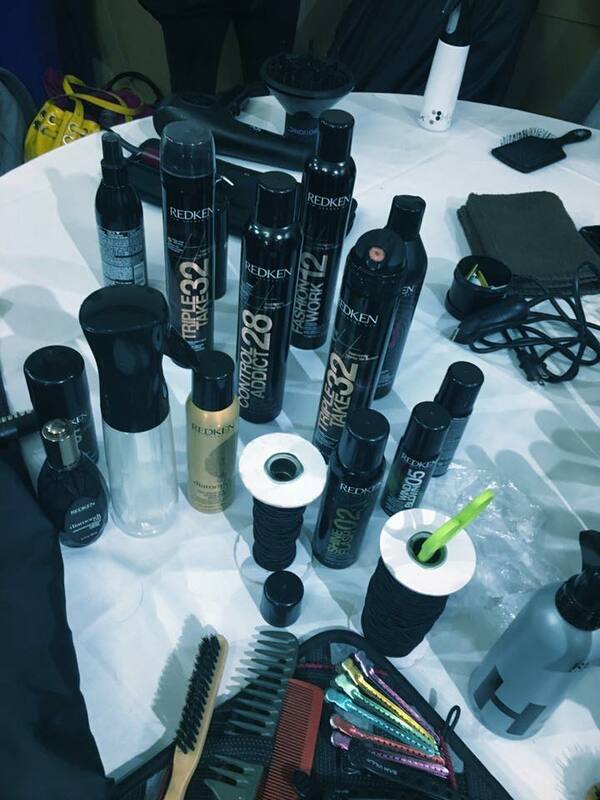 The next day arrived early and I along with several of the Redken artists entered the Orange County Convention Center to the backrooms for the model prep. After breakfast I joined my team and for the next several hours we cut, color and styled our mannequins heads. 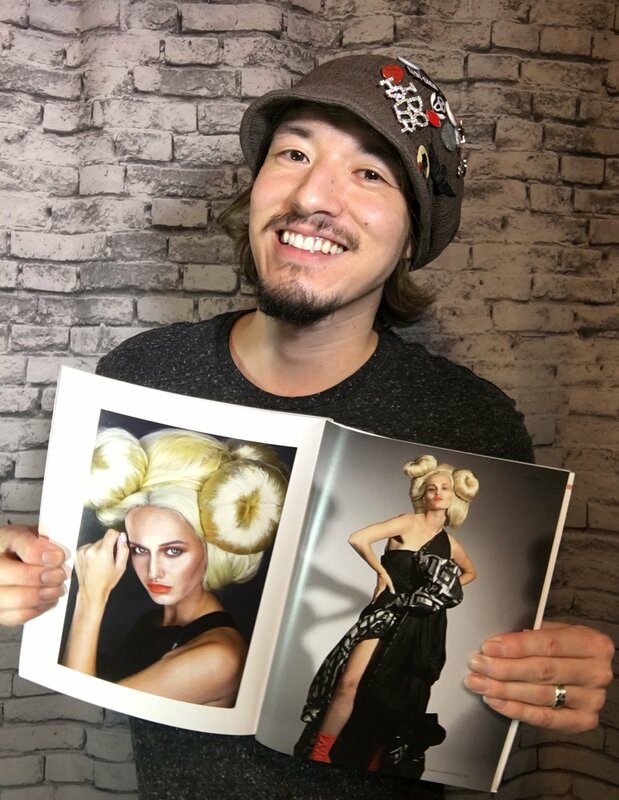 Bang style asked me to do a IG stories takeover and I was more than happy to capture Redken artists working in the natural backstage environment, new products and techniques. Below is the IG story. 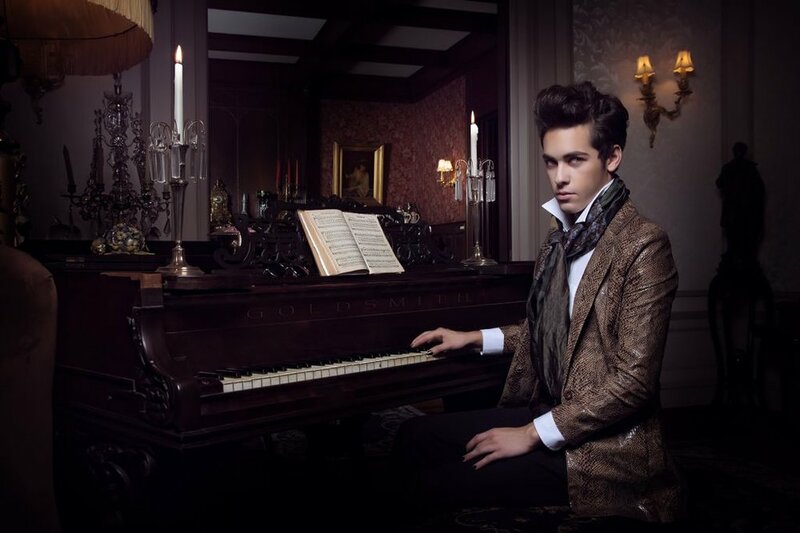 Below is the Redken reel from the Premiere Orlando Redken FB page. In addition I did braid wraps on the models to ready them for the next two show days. After wigs were assigned, Hugo and I styled and cut all the wigs to shape for each model. The entire experience was amazing and Redken was at the forefront with free hand ons education at the Redken booth. Being a Redken artist is a rewarding experience and I love inspiring other artists. I was asked to be lead hairstylist for designer Stevie Boi by High Definition Professional's Heather King. Prior to leaving for NYC Heather sent me the looks requested by Stevie Boi. The hairstyles were slicked back wet hair, cornrows and standing high ponytails. I created two quick tutorials of which I shared with the team prior to arriving in New York. Once in NYC we had just completed one show and loaded into the Uber and headed towards Pennsylvania Hotel for Stevie Boi's "NOIR" SS18 show presented by Walk Fashion Show. The hotel was filled with models, hair and make up artists. We had a total of 50 models to complete with a team of 13 hair & make up artists. I split our team into groups based on skill and comfort level. This way everyone was responsible for the same looks for continuity. As models came in I assessed what looks would work best on them based on their current hair and directed them to hair stylists that were strongest in certain areas. The hair looks were created using Redken hairstyling. 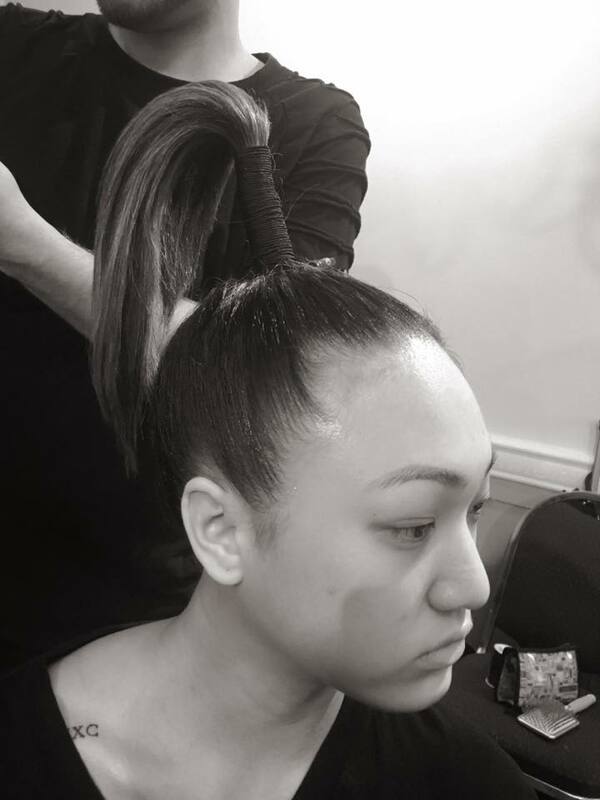 The high ponytails required a directional blow-dry upwards using Guts 10 spray foam. Hair was then put into a pontail. Next the model leaned forward and Two hairstylists had to work together and wrap the base of the ponytail using elastic cording. The elastic had to be taught in order for the ponytails to stand on their own. 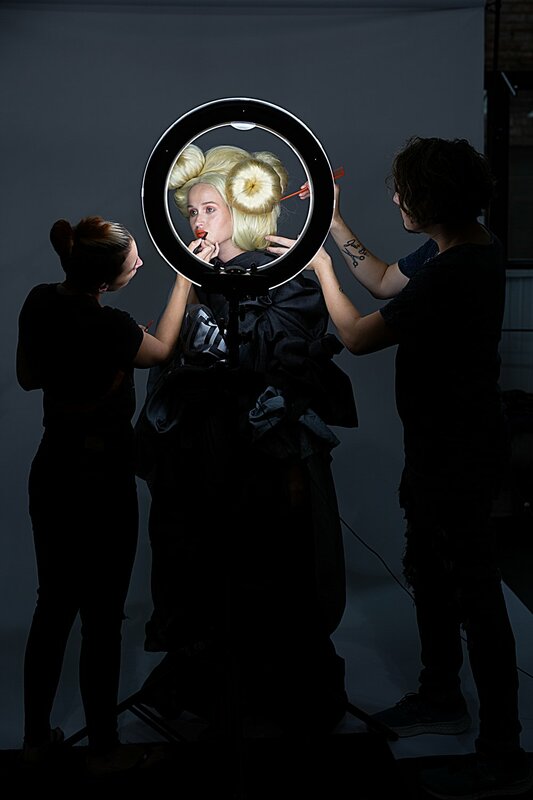 Matthew Tyldesley and Jake Walker creating a high pony on model, Claudia. Make up was soft and natural with a smoky eye, bronzer and defined brow. One thing I think is really cool is working with the same models. You run into them backstage working shows over the years. It's really cool to be on this journey in the beauty industry and to follow the models, make up artists, photographers and designers grow. Below are two of the quick tutorials I created based on Stevie Boi's Imagery for the stylists to review prior to his show. NYFW was another success and dream come true. I look forward to the next opportunity. I am grateful to my team and to Hi Definition Professional and to Stevie Boi.